If you are front-end developer, CSS libraries must be crucial to you. It is really very difficult to look all over the internet for some tiny little thing that you are searching for so we took the liberty of coming up with resources to help you out a little and save you time. This particular article lists 30 Free CSS libraries and resources for you to use. Check them out and let us know what you think. If you are looking for custom CSS icons, then perhaps this is the way to go. These are one of the best buttons out there and you have the options of text or icons as pictured above. These particular buttons are built over an SASS framework which proves to be useful at times. This is a fairly clean CSS3 and HTMl5 framework for web developers. This particular framework will offer a lot default styles applicable on tables, links, buttons and icons. This framework also offers loads of code snippets which will eventually save you a lot of time. This is an online webapp. It is a resource for generating sprite sheets which is quite obvious by the name. These sheets are used in CSS of course. You can create these sheets in Photoshop too but that can be a hassle so try this webapp with a clean interface. The best part is that you can do it from any computer. This particular resource offers a lot of pre-built CSS2 and CSS3 resources in order to help you build website interfaces. It includes buttons, navigation bars, tooltips, and links etc. The website is updated frequently so you might want to check in regularly. This happens to be the latest trend in the CSS community. Designers tend to include font faces that are unique based on the icon designs. Check this particular resource out in order to ease out the entire process and help you with sidebar content, navigation links and even the stuff you write within your post. You can switch between two different layouts that is fluid and fixed. That’s perhaps the best part about this one. You have many settings available within the library that can help you with your coding including the number of columns and the width of your document. Check it out. These particular design patterns are all for responsive website layouts as the name tells. The patterns are topic-focused such as forms, tables, images, responsive, and navigation etc. So that makes it a little easier. It so happens that when you are writing codes, there are times when you have to go back and fill out these prefixes. All the different web browsers have their own prefixes for CSS3 properties and it is a pain. What this resource allows you to do is to copy a snippet of CSS3 and automatically fill in the appropriate prefixes. Neat. There are many users or developers out there who would want to keep a hardcopy of an article or a webpage. If you add print.css library in your webpage, it will force a typical print effect over pages which are printed and hence easy for you to remember what pages you need printed and what you already have. This particular page will include all the resource you will need for building a simple CSS design kit. The entire library is built using SCSS and Compass. The components include jQuery, Modernizr, HTML5, Boilerplate, and Normalize etc. This is a free open source CSS grid framework. It can quickly scale y our website layouts. It is based on a 12-column setup. You might want to test them out before going into the job yourself. Use this resource to build a custom CSS class. It appends a white background and dark drop shadows behind any image. That makes the image look like an old Polaroid photo. You can even rotate the picture if you so feel like it. This is a modern library for developers who are not very big fans of traditional CSS resets. Your typical browser elements for example forms and stuff are formatted with general styles and then mirrored for display in all browsers. You can start designing from a blank slate and produce awesome results on your own. This is CSS framework for building responsive grids. We are sure you already know what responsive is so we won’t get into that. You can check out a live demo by clicking on the link above. The codes are completely free too, which is a cherry on top of all the other awesomeness. If you ever feel like giving that cool ‘slide out to display text’ effect to your links this is the perfect resource for you. You can very quickly and easily place this effect in effect on your website. Interestingly, you can do it using CSS codes so check it out. If you compare the UI of Google+ with other social networks, you will notice that it is cleaner and really nice looking. You can find the code to a clone UI created by Bruce Galpin. Go ahead grab the code and give your website Google-y feel. This particular tutorial will explain how to make unique buttons using CSS3. All you need to do is click on the link above and it will take you right to the tutorial. Just click ‘Show the Demo’. There are many resources you can use to help you code. CSSDeck is a tool that features a gallery of HTML/JS/CSS codes that should help you code faster. It is for free so you can just go ahead and click right on that link. Also, it is fun to browse through the gallery and see what exactly they offer. This page features a lot of styles for checkboxes. If you are tired and bored of the way your forms might look because of those clichéd checkboxes then visit this website and see how you can be a bit creative to give them a completely new look. If you are looking to implement CSS3 transitions in your website then this is the perfect place for you to get some ideas. You can create a multi-page website and transition between them using CSS3 animations. Click on the link above and check the demo. 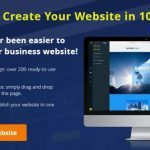 If you have a small web layout and you are looking to quickly build some buttons then pop over this website and check it out. It is not necessary for you to build heavily customized buttons; you can keep it simple and save time. You can do it quicker if you check the resource out. This might not be very useful for everyone. What you can do with this resource is create a bank CSS stylesheet with all the classes and IDs found inside an HTML document. Upload a page in HTML or XHTML and Bear CSS will do the rest for you. This is a tutorial by Codrops. It illustrates exactly what you can do with CSS3. Using CSS3 you can even build your own advertising banners and it will work flawlessly in all the browsers. If you can do it right, it might even result in a higher CTR. Speaking of animations, this particular document allows you to quickly add CSS3 animation effects which should behave flawlessly in all the modern web browsers provided they are updated. There are many demos that you can check out prior to using them. This is fairly easy to recognize right? You can create your own custom Facebook profiles. The grid system also offers you to test your layout before you apply the changes on the site. It can prove useful for interactions and marketing purposes. If you know how many columns you’ll need then this one is perhaps the easiest grid system to work with. It is a bit difficult to work with especially if you are newcomer, but you will warm up to it so give it a shot. The IVORY Framework is looks very simple… but performs outstanding. Great collection of CSS libraries. will surely help newbie developers in their projects. Thanks for the share! Nice selection of Css resources, thank you. Great things here. I always look for some new and css styles for my bootstrap based collection. Thanx for sharing!